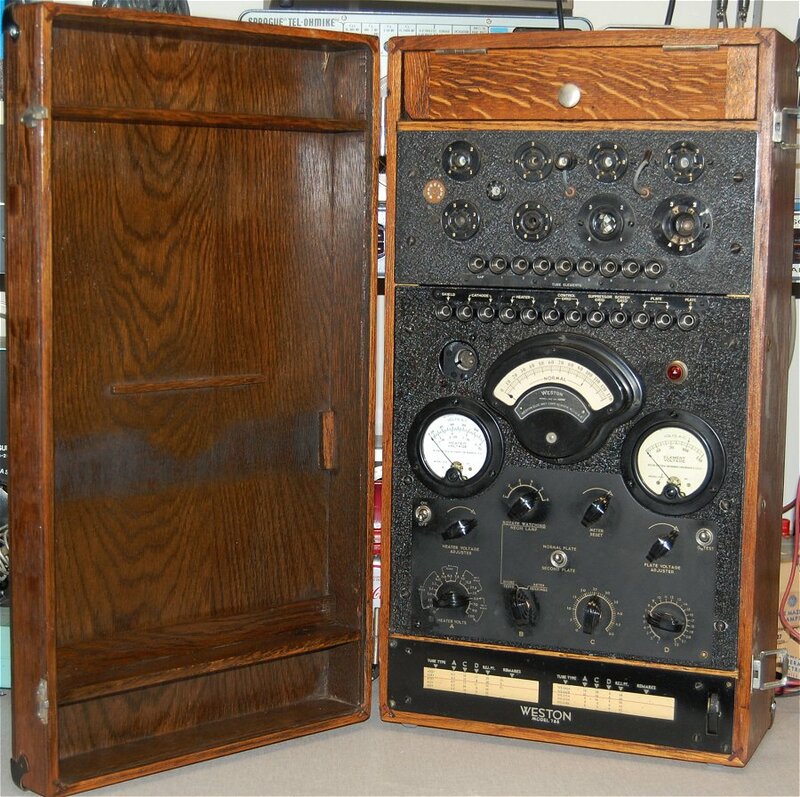 Welcome to my collection of vintage Weston Test Equipment. 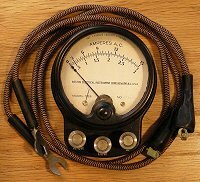 This site contains information about antique and vintage vacuum tube testers and test equipment in my collection manufactured by the Weston Electrical Instrument Company. 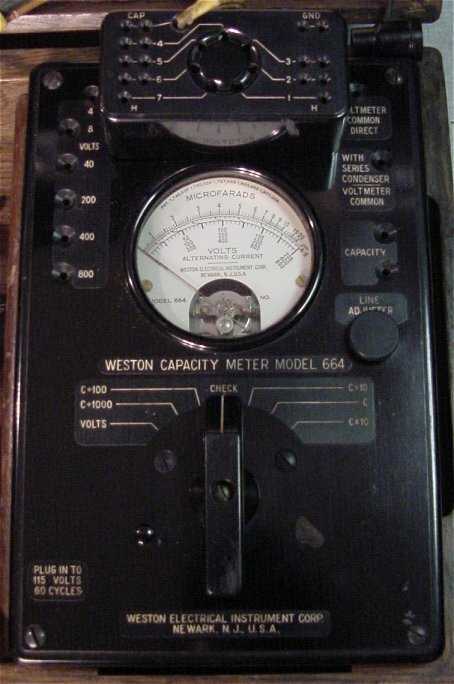 The Weston Electrical Instrument Company was founded in 1888 by Edward Weston. 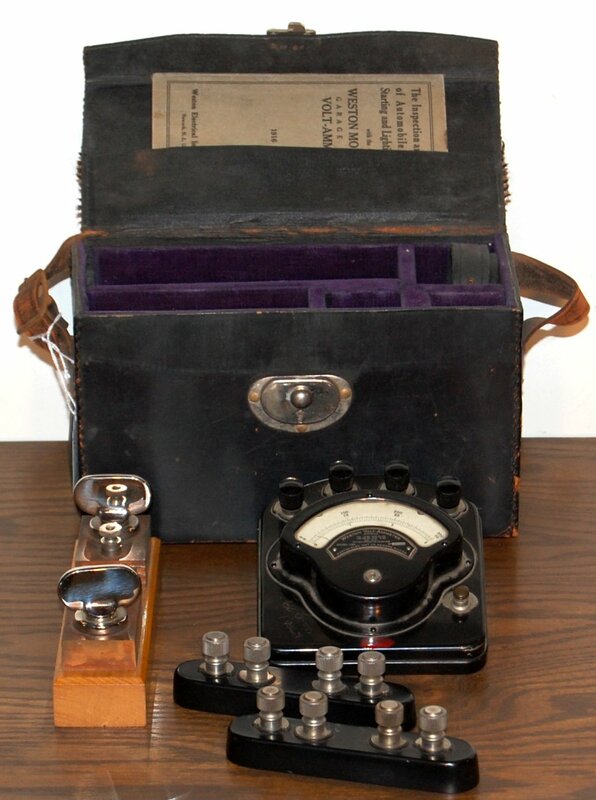 In it's early years Weston manufactured incandescent lamps, the first accurate portable voltmeters and ammeters, and the first portable lightmeter. 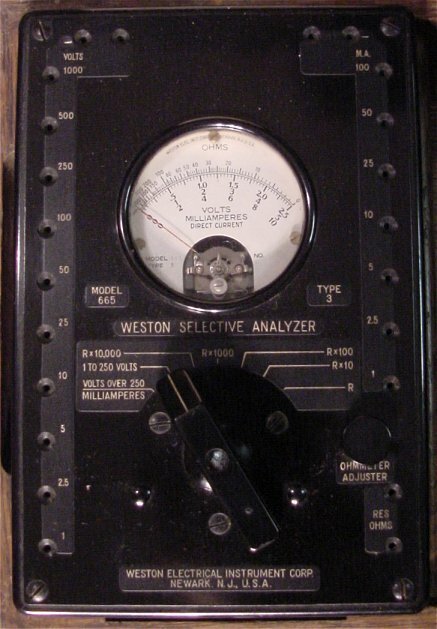 Weston was one of the early leaders of electrical test instruments, meters, and radio test equipment. 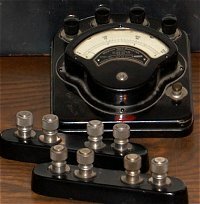 Weston manufactured a large portion of the industrial test instruments and panel meters used in the first half of the Twentieth Century. 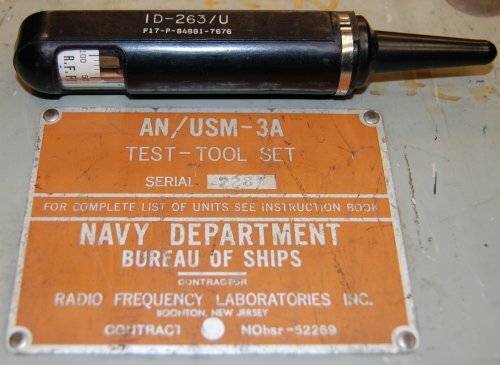 Weston was also major supplier of test equipment to the U.S. Navy during this period. 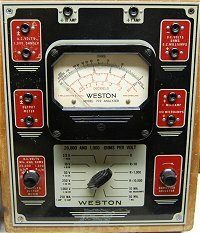 Weston equipment and meters were some of the highest quality test instruments available but the price put there testers out of the affordable range of most radio repair shops. 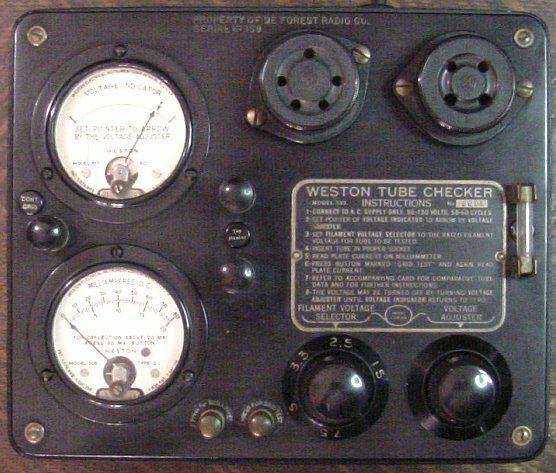 After World War II Weston concentrated on industrial test equipment and manufactured very little radio test equipment. 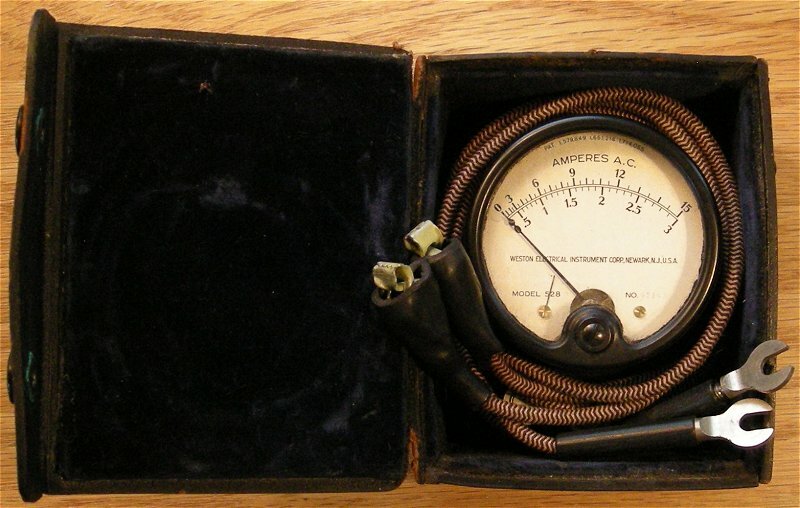 Weston model 280 volt-ammeter kit for testing early automobile electrical systems. 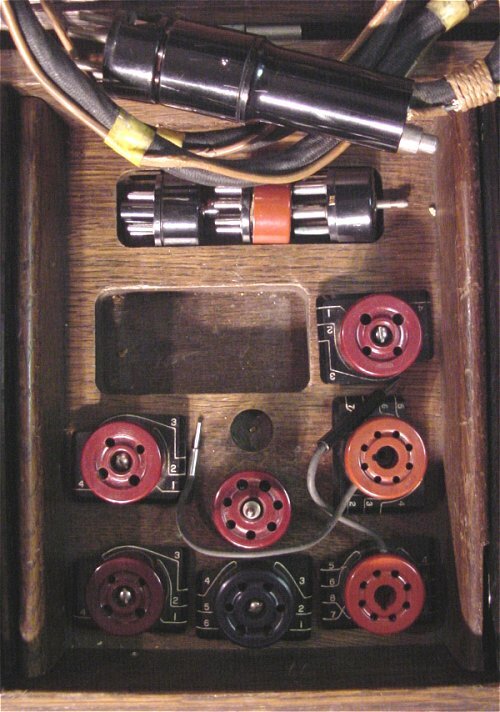 Kit contains meter, 3 shunts for testing current, and a 46 page manual in a leather carrying case. Weston 4 pin vacuum tube tester and voltmeter. Tested tubes in and out of the radio circuit. Needed both A and B batteries to test tubes out of the radio. Has instructions for testing battery sets, AC sets, and Battery Eliminators. 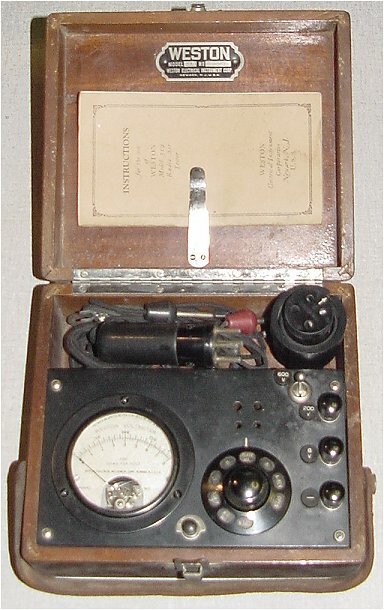 Weston manufactured a series of small portable meters for servicemen. This AC meter has two ranges, 0-3 A and 0-15 A. Original 1934 price for this 528 meter was $21.00. The optional case was $2.50. 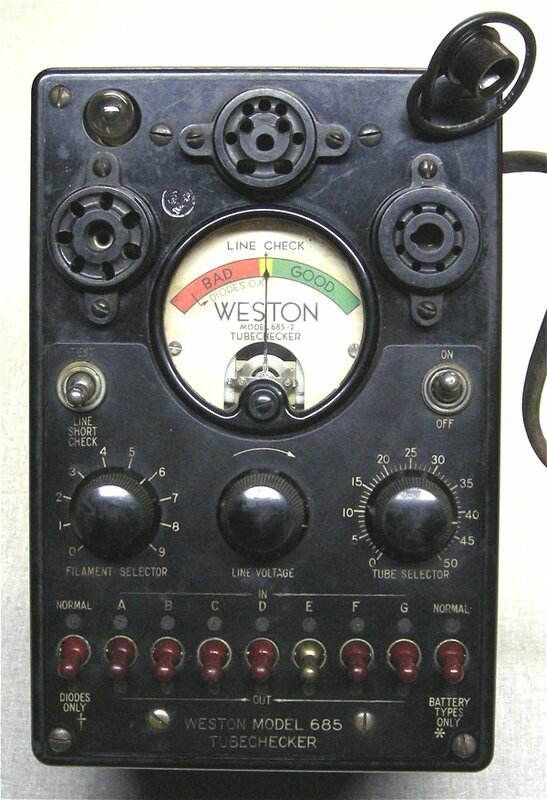 Weston 4 & 5 pin vacuum tube tester. 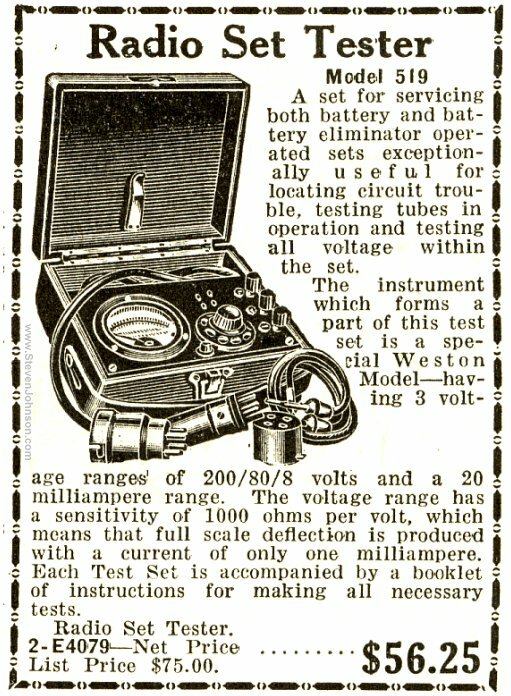 (1929 or 1930) Used to test tubes out of the radio. 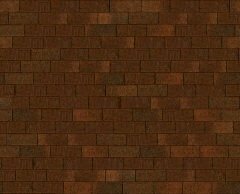 This model is AC powered. Has a control and meter to adjust for line voltage and a control to adjust to the tube filament voltage. 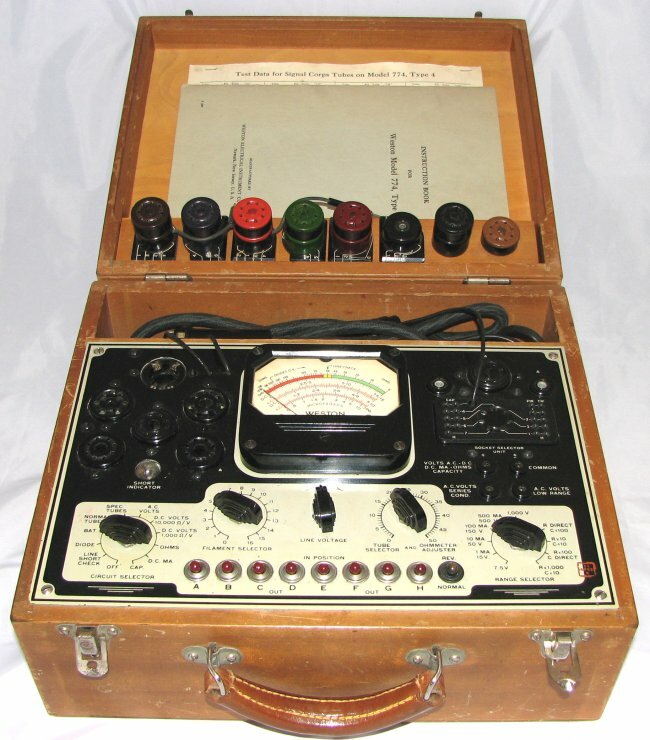 Uses push buttons to test the tube and a milliamp meter to read the results. 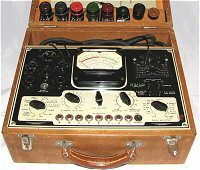 This tester was owned and used by the DeForest Radio Company. It has a DeForest inventory number of 189. 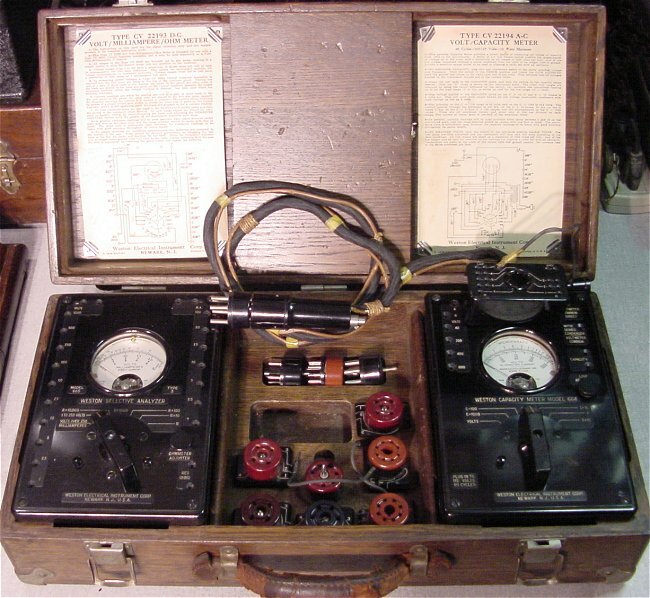 This Weston test set (1931-1934) contains a Weston Model 664 Capacity Meter, a Weston Model 665 Selective Analyzer, and several free point sockets and adapters to test radio circuits using the tube socket pins. The tube socket adapter is a model 666 "Socket Selector Unit" that is used as a free point adapter that plugs into the top of each meter for taking direct readings from the tube socket. 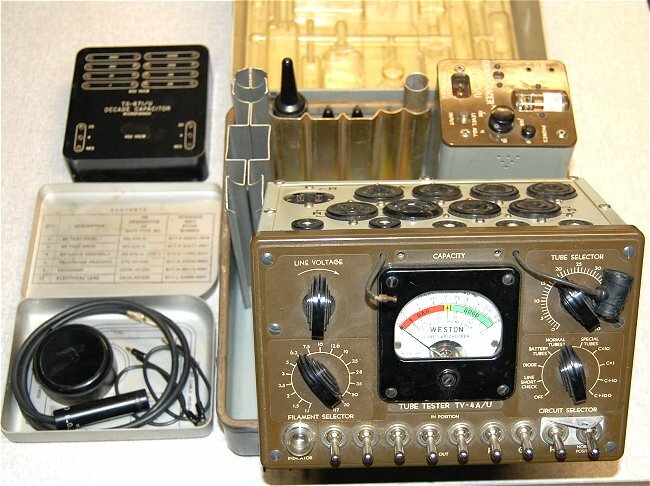 This Weston 685 Tubechecker was also part if the I-56-A military test set. 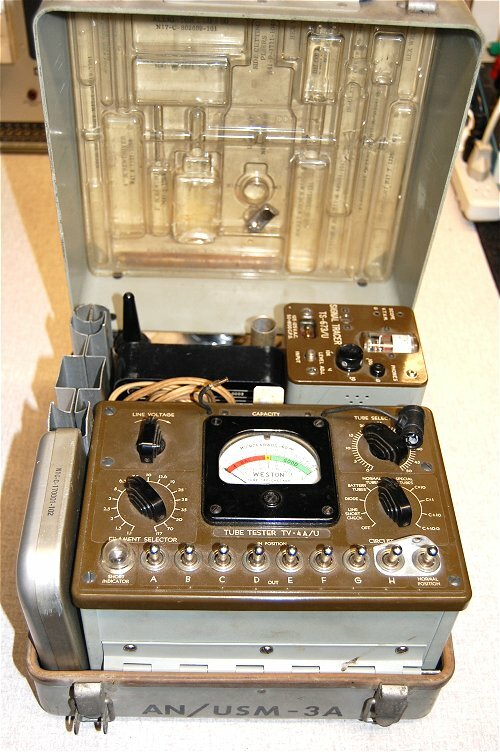 It's 110 VAC powered with a single 01A tube. 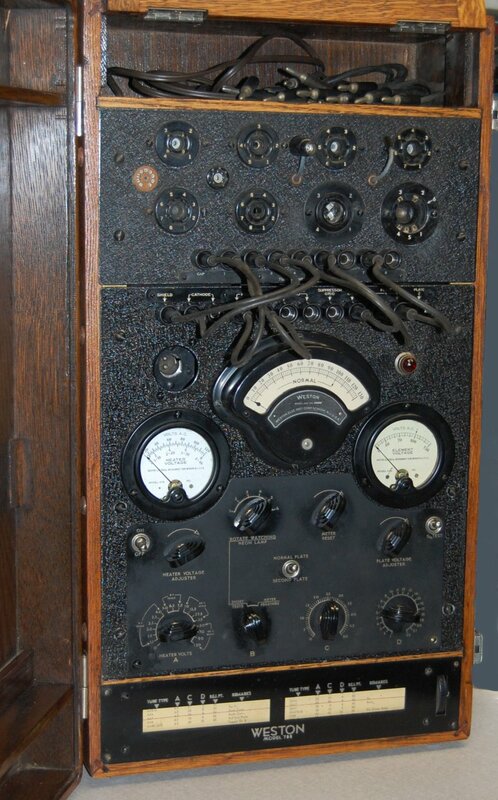 The operating instructions and tube chart found with it list a Weston 685 Type 2 and is dated 4/39 (April 1939). 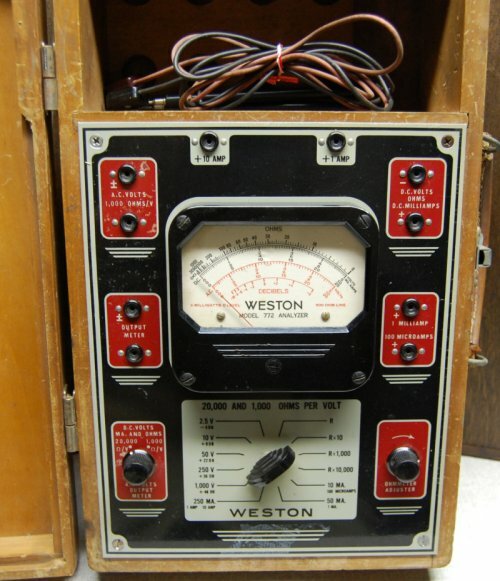 This portable Weston 772 Analyzer measures AC and DC volts, ohms, amps, and milliamps. This Weston Analyzer was built for the US Army Signal Core and has several free point sockets and adapters to test radio circuits using the tube socket pins. 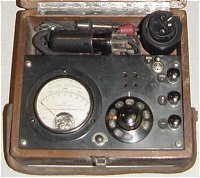 It has a built in tube test point adapter similar to the model 666 "Socket Selector Unit" above and is used as a free point adapter. The Weston 788 was built primarily for the US Navy Department Bureau of Ships during WW II. 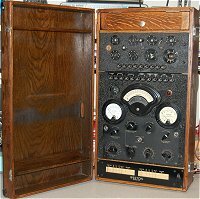 It is housed in a quartered oak case with a full length carrying strap and a compartment at the top for the AC cord and jumpers. The roll chart with tube settings is located behind a separate panel at the bottom. Even though it came with a carry strap, I'm not sure I'd call it a portable at 13"x24" by 8" deep. 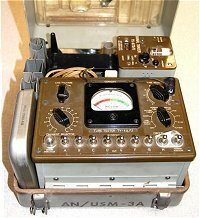 This Weston TV-4A/U is included in the AN/USM-3A Test - Tool Set built for the US Navy around 1953 and includes the Weston TV-4A/U Tube Tester, a TS-673/U Signal Tracer, a ID263/U RF Probe and various other probes, headphone, and accessories. Includes Volt-Ohmmeters, Capacity Meter, Test Oscillator, Meter Kit, Panel Instruments, Portable Instruments, Tube Testers, and Analyzers.